A perfect recipe if you're looking for a Vegetarian option. 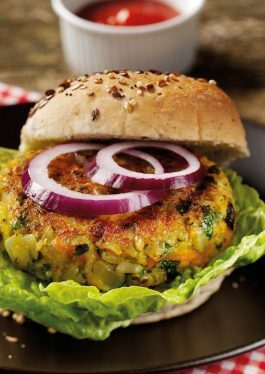 These Veggie Burgers are easy to make and also healthy. Ready in just 25 minutes try it today! Heat the tray of VeeTee Wholegrain Brown Rice & Quinoa according to pack instructions then empty into a food mixer and whizz up along with the onion, cumin, herbs, carrot and egg white. Season well and mix again. Remove the mixture, and, using clean hands, shape the mixture into 6 burger patty shapes. Add the oil to a large frying pan and warm over a medium heat. Place the burgers in the pan and fry for 4 minutes on each side, taking care when turning the burgers over so they don’t break up. Serve when golden, with salad and burger buns, if using. 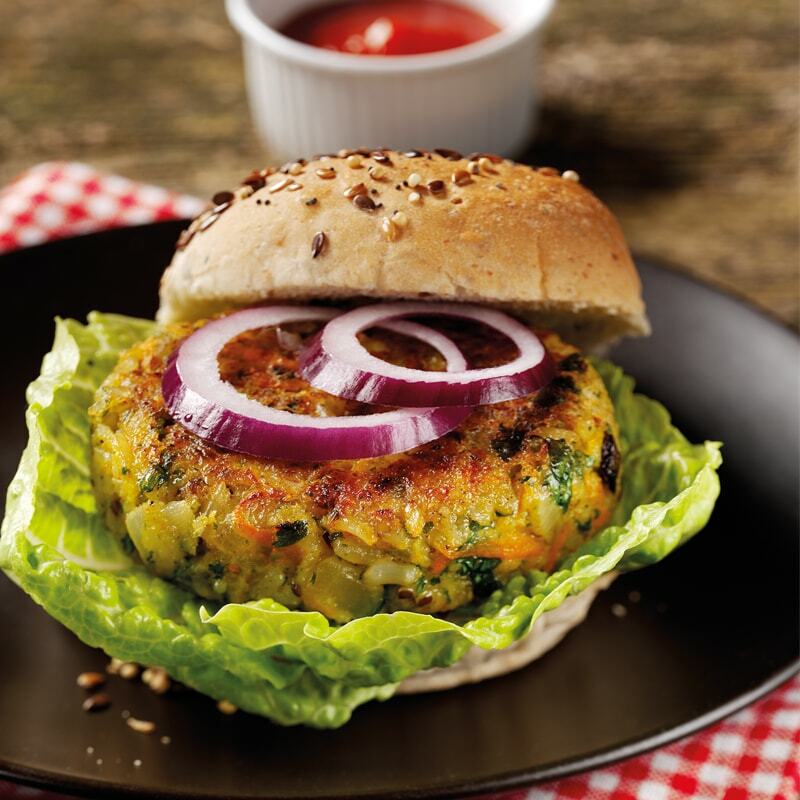 Tips: If you're having a BBQ, why not try drizzling each burger with a tablespoon of vegetable oil and grilling them on the barbecue for 5-6 minutes. Just flip them over halfway through and serve them when they're golden brown for a perfect summer-time treat.